Given the protests going on the in the Middle East and now ppl protesting against gov. Walker trying to screw over teachers in Wisconsin (amidst the tax cuts for the rich @ the federal level). Can u comment on how much of all this makes the elite panic and start being more inclined towards hiding in their bunkers? I'd say that these are little events. But given the "wall-street broker committing suicide, while the homeless would just move on" type of attitude that is inherent within the wealthy, how much of all this change has inclined them to rush to their enclaves sooner than later. There were huge protests in England as well over increase in tuition fees, months ago. The other thing I was thinking is that if the wealthy have pushed hard for tax cuts for the rich, then they are probably "betting" that the economy is going to get much worse from here and trying to siphon whatever they can now. The rise in protests around the world resonates deeply among the elite. The model that seems to have been in place, the model they have emotionally relied upon, was one where the masses are held in check by riot police and the law. The sheeple (sheep people) thus are resigned to their lot. The elite control the courts, as they have controlled the lawmakers, financially supporting the political campaigns of their lackeys. Three things have now changed this arrangement - increasing crop failure leading to food shortages, a lingering economic depression brought about by the destructive Earth changes, and the emergence of peaceful and resilient protests, such as in Egypt, led by Star Children. Complaints about food prices and the availability of jobs is nothing new, and triggers a vast array of well-rehearsed responses from the elite. Government assistance, government subsidies, unemployment insurance, and food stamps. Measures only beginning to be instituted are price controls and quotas to prevent hoarding. But the distress is rising beyond these traditional measures, as homelessness is rising dramatically with hordes of immigrants on the move as a result. Countries are bankrupt, and are starting to close their borders even to the desperate. There is no food to be shared or distributed, so gifts to starving regions are being steadily cut off. Joblessness even where job training programs and unemployment insurance exist are not sufficient, so the ranks of those requiring welfare assistance are on the rise even as the government are bankrupt. The elite presumed this squeeze would arrive sooner or later. Their expectation was that riot police and the rule of law would prevail until the time when they would have to retreat to their bunkers. Now matters look different. Now the specter of massive crowds assembling and demanding change has emerged. These crowds are peaceful and operating within the law. This is forcing the hand of the elite, who must either frankly reveal their intentions and institute a martial law of sorts, or brutally repress the common man, or allow change! There is little difference between the despots in the Middle East and North Africa and those countries that call themselves democracies. In all cases, the citizens have little recourse when desperate times descend. Even in the US, when the pending catastrophe of the New Madrid adjustment hits, government assistance will be inadequate. The rule of law will protect the "haves" from the "have nots" while the desperate masses increase in numbers. What then? If peaceful protests by massive numbers demanding change emerge, gaining the sympathy of riot police and the lower ranks of the military, what then? Commerce and industry are crippled and come to a stop until change is effected, and this change most certainly will not be in favor of the elite. The elite foresee their high paid salaries reduced so that the ranks of the workers can get a living wage. They foresee the laws allowing credit card companies and banks to enslave the common man by debt and high interest rates and fees changed overnight by frantic government bodies trying to stop the protests before they spread. They foresee vacant houses taken over by the homeless, and local or family gardens being allowed to sell or barter produce, ignoring objections by corporate farms who have arranged to remove their competitors under the umbrella of law. If laws are not changed they will be ignored by the common man, as the trend toward massive and widespread protests worsens. This leaves the common man working things out among themselves, casting the control by the elite aside. The elite will react at first by rage, calling out all legal remedies, all political chits they have in their pockets. When this does not work they will retreat sooner than planned to their bunkers, or their island enclaves, pouting. A NASA satellite designed to study aerosols' influence on climate and measure solar energy failed to reach orbit this morning. The crash marks the second time in two years that a NASA climate satellite has failed to launch. http://www.nytimes.com/gwire/2011/03/04/04greenwire-science-satellites-crash-leaves-nasa-devastate-66697.html I believe that this satellite has nothing to do with monitoring climate and measuring solar energy but observing planet X. Would Zetas care to comment on this? [and from another] http://www.tampabay.com/incoming/nasas-glory-research-satellite-plunges-into-the-sea/1155419 NASA's 'Glory' research satellite plunges into the sea [Mar 5] Glory's clamshell-shaped protective covering, which was supposed to shield it during launch, never opened to let the satellite fire into orbit. A similar fiasco happened in 2009 when the Orbiting Carbon Observatory fell back to Earth after the rocket nose cone also failed to separate, and engineers thought they had fixed the problem. For the nose cone of a launching satellite to fail to separate, twice, is certainly more than coincidence. The prior attempt, in 2009, had the exact same mechanical problem. Of course, these mechanical steps are controlled by electrical commands, and as is well known, cutting off the electricity is something we are adept at. What is the message to NASA? Your attempts to surveil the migrations of starving and desperate humans, so as to assist those who would blockade and murder them, will not be allowed. Can the Zetas comment on the cozy relationship Obama now seems to have with the leading perp of the Coverup - George H.W. Bush - and his son Jeb? Today Obama and Jeb appeared together at a Miami high school. And 2 weeks ago Obama awards Poppy (George H.W. Bush) the nation's highest honor, the Medal of Freedom, and held a "private meeting" with him in the Oval Office that same morning. I seem to recall the Zetas explaining some time ago - though I can't seem to find it in ZT now - that Poppy had taken Jeb to meet Obama in hopes Jeb could get a job or serve in some capacity in the administration, and that the answer at that time was no, but the recent events of such a cozy relationship between these spiritual opponents have some of us not only scratching our heads but thinking something must be seriously wrong for such a pillar of the Coverup to be getting such a reception by the man expected to undo all the evil plans Poppy had for the end-times. Not to mention Jeb Bush, who helped steal the 2000 election for his older brother, W. Bush. Can the Zetas help explain? [and from another] http://content.usatoday.com/communities/theoval/post/2011/03/obama-and-bush-jeb-exchange-greetings/1?csp=34 There they were today in Florida -- the latest political odd couple of President Obama and Jeb Bush. Bush, the former Florida governor and the brother of Obama's Republican predecessor George W. Bush, stressed that education brought him and Obama together, citing the president's frequent line that education is not a Republican or a Democratic issue. Obama called the ex-Florida governor a "champion of education reform" - and joked that Jeb is known as "the brother of Marvin Bush." [and from another] Presidents meet in the Oval Office http://politicalticker.blogs.cnn.com/2011/02/15/presidents-meet-in-the-oval-office/ Former President George H.W. Bush returned to his old office on Tuesday for a brief meeting with President Obama. In anticipation of having to go public with Executive Orders that will not be popular with conservatives, Obama is making a public display of being bipartisan. We have explained that the wealthy and those who place their own wellbeing above others want the status quo maintained, calling themselves conservatives. At present they cluster in the Republic Party in the US, and in ultra-right parties elsewhere around the world. Dictators and kings are also invariably in this category, not wanting change unless it is change that allows the brutal and greedy to succeed with greater ease. The rich get richer, etc. Obama is anticipating the pole shift, and all the horrors that are predicted to afflict the US prior to the pole shift. We have mentioned his stance about immigration, his policy that the immigration laws won't be changed just because another country has a disaster. We have likewise mentioned FEMA plans to deal with massive numbers of displaced citizens after a disaster such as the New Madrid adjustment or a West Coast adjustment. Idle farmland would be confiscated for tent cities assigned to garden and graze these lands. Such a move would invariably squeeze large landholders, corporations in the main. Thus, Obama is giving a careful public appearance of being bipartisan. The message is - its not politics! How will the Marquesas Islands fare with their high towering spire-like peaks? Will they be washed over during the Pole Shift? Will they be sufficiently lifted up in order to compensate the 675 foot rise in overall sea level? 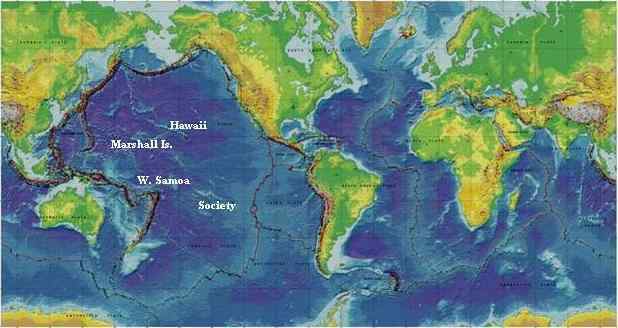 In the article "Pacific Islands" at http://www.zetatalk.com/info/tinfx311.htm it is explained that Hawaii and the Society Islands are on the same edge of a plate in the Pacific that tips up while the other side subducts under the Americas. But it is not mentioned what the resulting gain might be for the Society Islands afterwards, and whether they will be washed over during the actual Pole Shift. And since the Marquesas Islands are positioned more towards the Americas / towards the east their overall gain might be even less, shouldn't it? [and from another] http://en.wikipedia.org/wiki/Marquesas_Islands The highest point is the peak of Mount Oave (French: Mont Oave) on Ua Pu island at 1,230 m (4,035 ft) above sea level. 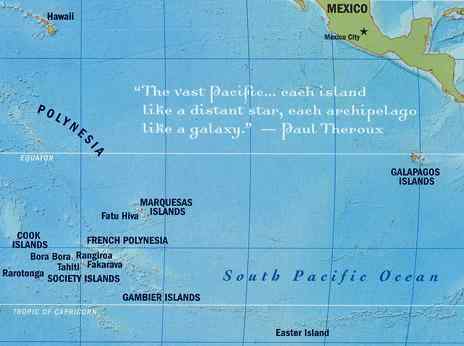 With a combined land area of 1,049 square kilometres (405 sq mi), the Marquesas are among the largest island groups of French Polynesia. Except for where the valleys empty into the small bays, the islands are remarkable for their mountain ridges, which end abruptly as cliffs where they meet the sea. Could the Zetas tell us if Comet Elenin is disinformation and a diversion? Or is it a legitimate comet that will play havoc with us in Oct? [and from another] http://www.examiner.com/astronomy-in-aurora-co/comet-elenin-boom-to-bust It look's like those of us who were hoping Comet Elenin would be a great comet will be disappointed. New updates indicated this comet will be more like Comet Hartley 2. This means seeing the comet will require binoculars and a dark sky. The IAU (International Astronomical Union) is still predicting the comet may brighten to be naked eye visible in dark skies, but still not bright enough to be easily seen in metropolitan areas. [and from another] http://www.skyandtelescope.com/community/skyblog/observingblog/112431829.html What's gotten hearts beating a little faster since the discovery is that Comet Elenin is still more than 4 astronomical units (375 million miles) from the Sun and headed inbound. It's still early, and the calculated orbit is certain to change in the weeks ahead as more position measurements are made, but right now it appears that the comet's perihelion will occur well inside Earth's orbit, about 0.45 a.u. (42 million miles) from the Sun, next September 5th. Right now, odds are that Comet Elenin will become an easy target for binoculars around mid-August and reach naked-eye visibility for a couple of weeks around perihelion. The establishment is desperate for a distraction, some object to point to when Planet X or its Moon Swirls appear in the skies. They hope the common man will be confused, and assume these are Comet Elenin! Oh, I read about that, Comet Elenin, due to arrive at this time. Thus, immense publicity is done, to flood the mind of the common man with anything but the truth. This is just another tiny comet, a dirty snowball that means nothing. But watch for this to get regular reports on the news, with dramatic photos taken and enhanced. Do the Zetas know that if during and after PS will there be areas on the earth where deadly toxic gas making it difficult to breathe could escape the ground, and if so could they comment on how to overcome such a difficulty in the many months after PS. In that the pole shift, or the Earth changes preceding the pole shift, can fracture rock and release pockets of either gas, survivors should be cautious about huddling in bunkers. You are safer out in the open air, or in a trench you have dug that will allow the pole shift winds to pass over you, but nothing to fall on and crush you. The fact that both methane gas and radon gas can accumulate in the bunkers of the elite is one of the reasons we have stated that they have dug their own graves. Migration before the pole shift, a major consideration. It just sunk in that millions will be migrating when the signs in the sky become obvious. Those who can afford to flee sinking land for higher ground, will they be restricted by governments? As you stated, the US and China are on the same page in terms of refugees. They aren't welcome. But surely when the time comes exceptions will be made? People will be allowed in from their sinking countries? Or will they be heartlessly turned away? Migrations happen for two reasons - people are moving away from something or toward something. 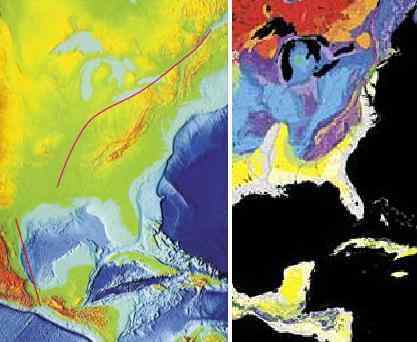 This is the case today, and will be the case during the serious Earth changes that precede the pole shift, and of course after the pole shift when the sea level is rising worldwide. Today migrations happen in the main because some country, some region of the world, is offering jobs and those on the move are looking for employment. 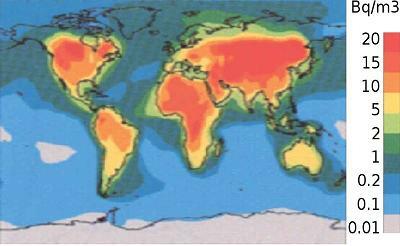 Migrations are common from rural areas to nearby cities for the same reason, a step up in lifestyle. Such moves to the city can also occur when crop failures drive farmers to seek employment outside of farming, having gone bankrupt or unable to support their families via a farming income. Migrations can occur during warfare, such as the mass exodus of the citizens of Libya to escape Gadafi's bombing raids. How will this change as the Earth changes preceding the pole shift pick up? Since the world is in an economic depression, the migrations will not be because jobs beacon. Migrants will be escaping devastation, or trying to do so. How governments address these migrations will be as varied as the individual countries or government bodies themselves. There will be no general rule. This will also change as government bodies become exhausted, so that they can no longer take in refugees. They can be expected to increasingly harden their stance. What this means, of course, is that hoards of people will be huddled along borders, trying to force their way at times, creating heart wrenching scenes where babes in arms are thrown across the fence and the desperate commit suicide at the border, in protest. What is unlikely to occur is a massive migration by all in unsafe locations upon any trigger such as the appearance of Planet X in the skies. Even during the last weeks, when it is clear that the Earth is in the grip of a passing planet, this will not occur. The reason is based on human nature. We have often addressed how prevalent denial will be, even in the face of undeniable facts. The familiar comforts, so in addition to denial, those who have few alternatives simply remain in place. They are stunned. They imagine at attempt to move to another location, and the logistics overwhelm. If they attempt such a move, they get bogged down in trying to carry too many possession, as though this were a normal move. Even those who get on the road with few possessions find their way blocked, too much competition for available tents and meals, and checkpoints everywhere denying access. They return home, or sit and wait to die, and the word of such situations spreads. Thus, migration will not be as extensive as might be envisioned. There is a message on the Georgia Guidestones which seems to be talking to those on the other side of the shift event. The message is in eight major languages currently being used, which allows the Stones to act as a "Rosetta Stone" to those after-eventers as well. The Stones appear to be well positioned on top very large/thick granite shelf in the Eastern North American plate, which will allow them a better chance to surviving such events. But perhaps most importantly, the Stones give even the most novice sky watcher an opportunity to observe, and possibly confirm, the Earth wobble being presented by Zeta. Can the Zeta please commit on the Georgia Guidestones and their possible connection to the passing of PlanetX? [and from another] http://en.wikipedia.org/wiki/Georgia_Guidestones The Georgia Guidestones is a large granite monument in Elbert County, Georgia, USA. The four outer stones are oriented to mark the limits of the 18.6 year lunar declination cycle. The center column features a hole through which the North Star can be seen regardless of time, as well as a slot that is aligned with the Sun's solstices and equinoxes. A 7/8" aperture in the capstone allows a ray of sun to pass through at noon each day, shining a beam on the center stone indicating the day of the year. A message comprising ten guides is inscribed on the structure in eight modern languages, and a shorter message is inscribed at the top of the structure in four ancient languages' scripts: Babylonian, Classical Greek, Sanskrit, and Egyptian hieroglyphs. A message consisting of a set of ten guidelines or principles is engraved on the Georgia Guidestones in eight different languages, one language on each face of the four large upright stones. Moving clockwise around the structure from due north, these languages are: English, Spanish, Swahili, Hindi, Hebrew, Arabic, Chinese, and Russian. Were the Georgia Guidestones inspired by knowledge of the pending pole shift? They were indeed. Based on knowledge gained initially from MJ12 members, they understood there was a prediction of a 90% reduction in the population. At that time, given the world's population at that time, this would have left about 500 million alive. The goals expressed are those hoping that civilization would survive, and in particular that the leaders of MJ12 would be in charge. Be good sheep. Be peaceful and don't challenge your lawmakers and authorities. These were, at base, the goals of those who were planning a New World Order, though this was phrased poetically.